A team of NHS staff who provide specialist support to Veterans of the nation’s Armed Forces, have been shortlisted in a national award scheme for mental health services. The team, led by Diane Palmer, work at the Midlands and East NHS Veterans’ Mental Health Transition, Intervention and Liaison Service (TILS), which was visited by the Duke and Duchess of Sussex in February 2018. Diane Palmer, Operational Manager and Partnership Lead for TILS said: “I am delighted that the hard work and dedication of this partnership team across such a large geographical area has been acknowledged for the tremendous work undertaken in operationalising and clinically delivering the new NHS Veterans mental health service across the whole of the Midlands and East of England. “The team and I are committed to ensuring that Veterans and their families receive a high quality, culturally sensitive service that upholds the principles of the government’s Armed Forces Covenant. In April 2017, NHS England commissioned TILS, which is a dedicated mental health service for those leaving the Armed Forces and Veterans. The service is available across England and offers increased access to local care and treatment. The Midlands and East of England TILS is delivered in partnership by three NHS trusts and two charities. These organisations are: Coventry and Warwickshire Partnership NHS Trust, Leicestershire Partnership Foundation NHS Trust, Essex Partnership University NHS Trust, Walking With The Wounded (WWTW) and Mental Health Matters. Lt Col (Retd) Rod Eldridge said, ‘Walking With The Wounded is absolutely delighted that the TILS partnership across the Midlands and East of England has been shortlisted for an award. The recognition of our collective hard work is most welcome and sends out a clear message that service charities and the NHS can and do work collaboratively and effectively in the pursuit of excellence for those who have served their country. The timing of this news is entirely fitting given that Armed Forces Day is almost upon us and the TILS team members are out and about leading and participating in a number of engagement events as part of that celebration. Our team will have a stand at the annual Armed Forces Day Event on 30 June 2018 at Gala Field, 23-28 Dunns Close, Nuneaton CV11 4NF. 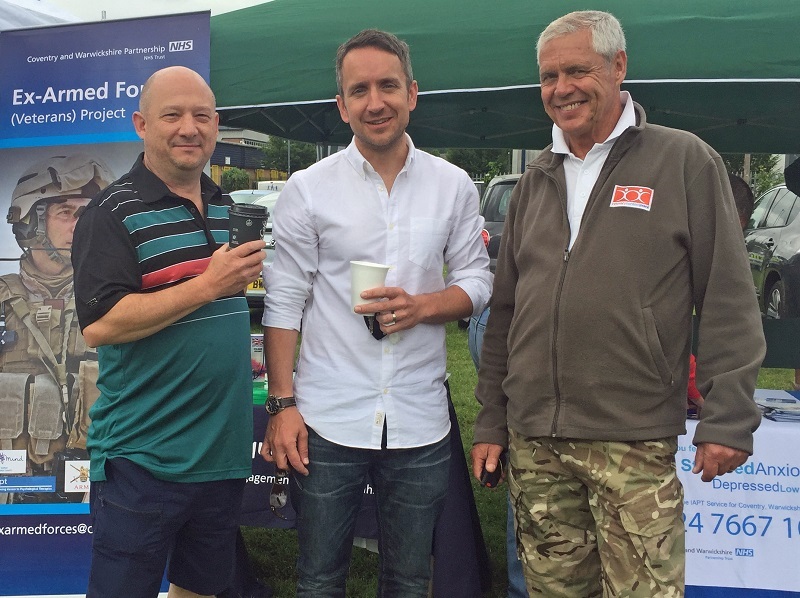 The event, hosted by the military charity Veterans Contact Point, is a fun day for Coventry and Warwickshire communities to celebrate and acknowledge the service given by our UK Armed Forces.